Kids Vote Bowling Birthday Parties #1. 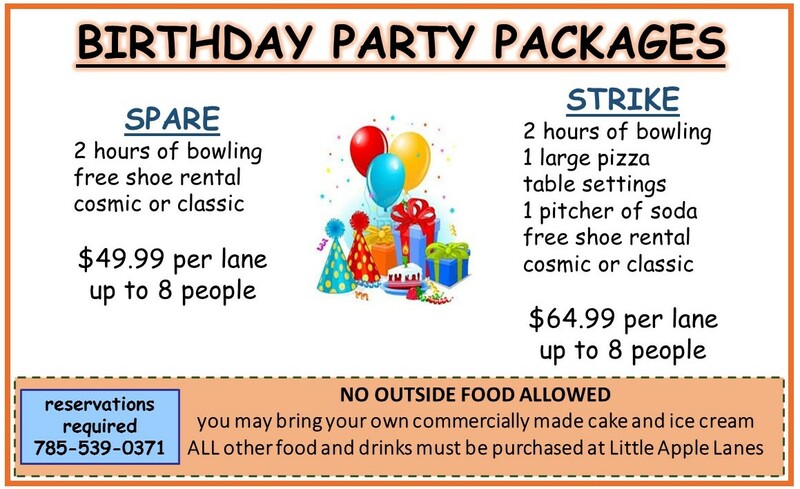 When you’re looking for a birthday party place in Manhattan …Little Apple Lanes is your party headquarters. A $25 non-refundable deposit is required to hold your reservation. The deposit will be applied to the cost of the party. Please note, no outside food is allowed. You may bring your own commercially made cake and ice cream. Little Apple Lanes has a full snack bar with hamburgers, wings, pizza and lots more if you'd like to add a meal to your party.